Think about what message you would like to convey in your panel. 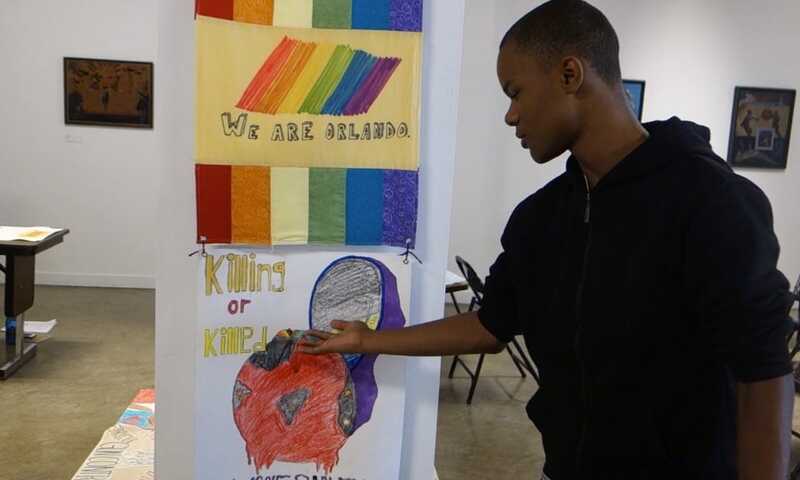 Quilt panels should build on the theme “It is possible…” Panels should focus on visions and solutions that help create a new culture in the United States that prevents gun violence. Slogans and images should be respectful and are subject to review by a steering committee. The Vision Quilt will be exhibited in numerous places so durability is crucial. Your design can be vertical or horizontal, but the finished panel must be 18 x 24 inches made of fabric or canvas with finished edges. Edges may be hemmed, serged, cut with pinking shears, or sealed with gesso or fabric paint with the goal of keeping edges from fraying over time. If your fabric is fragile, please add backing to help retain the shape of the panel and to help keep panels clean when they are displayed. Sewing: Create a fabric panel or quilted panel with a strong backing for durability. Stencils and fabric paint: Create a stencil or use ready made stencils in your design. Hold the stencil in place, then use a brush or foam dapper to apply fabric paint or indelible markers to the surface. You can also use fabric pens or indelible ink pens to apply text or images. Acrylic Paint: Trace your design onto fabric or canvas with a pencil. Paint your design or text with acrylic paint. Knitting or embroidery: Knit or embroider your design or message into the panel or knit a duplicate stitch on top of knitting base. Back the knitting with canvas or strong fabric so it can be displayed properly. 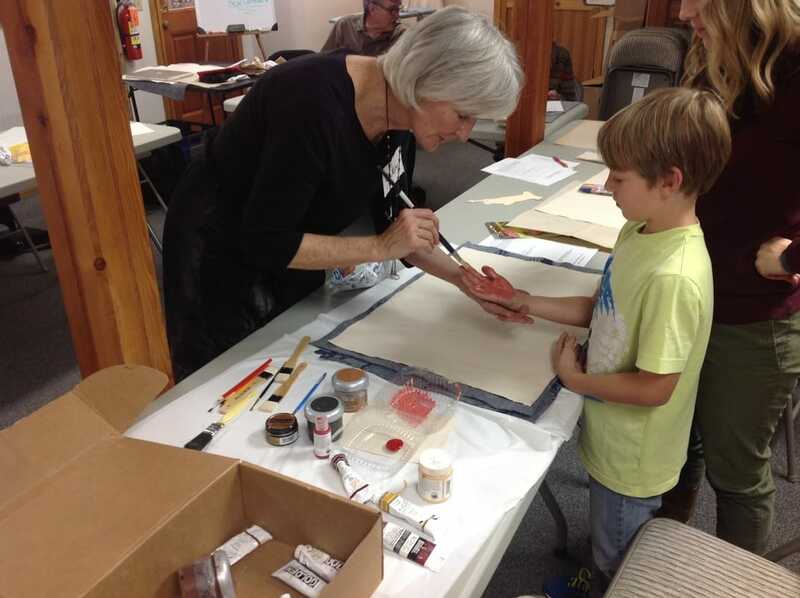 Silk screen: Make a screen and silk screen your design on fabric or canvas. Photography: Many computer printers have the capability of printing images or photos onto fabric or canvas directly. There are also iron-on transfers that can transfer images to fabric by ironing. You can also sew images to canvas and fabric. Digital printing: Design your panel on the computer and print with an ink jet printer on fabric or canvas. Or hire a digital print shop to print your panel from your design. Mixed media: Use any combination of the above to create your panel. Fill out the required Vision Quilt release form to provide us with vital information about you and your panel. 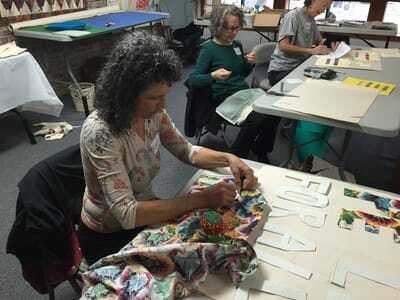 This information helps us keep you up to date on the Vision Quilt project. It will not be shared with outside organizations. Send your panel along with the release form to: Vision Quilt, PO Box 3192, Ashland, OR 97520. All panels are open source material once submitted.​ Please write your name, city, state and date on the back of your panel. We recommend sending panels with a carrier that will track your package. If you have a digital image of your panel, please email it to visionquilt@gmail.com. If you are able, please make a donation to help pay for the costs of exhibiting the Vision Quilt. Gifts of any amount are welcome and greatly appreciated. Donations will also go to panel making workshops we are holding with high-risk students and incarcerated youth. We are grateful to all of the people who created the AIDS Quilt. Your model has inspired us to create the Vision Quilt.